Google announced the new and improved version of Google Maps on Wednesday - a week before Apple's WWDC conference where it's rumored Cupertino will roll out their own mapping service for their new iOS. Brian McClendon, Google's vice president of engineering, and the rest of the Google Maps team demoed the revamped version with new functionality at a special event at Google's San Francisco office. Some of the more notable new features discussed at the event were 3D imaging, using maps in offline or airplane mode, and the new Street View Trekker. Google's revamped 3D modeling for maps will work in conjunction with a fleet of airplanes contracted by Google to capture aerial data. The aerial data and the 3D mapping will then be combined to help render a more comprehensive and accurate picture of a location. Google designed this to improve functionality and increase usability. 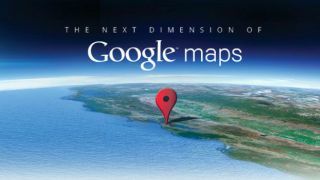 The Google Maps team hopes to make this available for Android and iOS by the end of 2012. "By the end of the year, we aim to have 3D coverage for metropolitan areas, with a combined population of 300 million people," said Google in a written statement. Another feature that the Google Maps team said users have been begging for is the ability to use Google Maps in offline mode. Now, that they've come through with this technology, it turns out it's only for Android users. But, once Android phone owners enable their GPS and download the maps in offline mode, they can throw away their old paper map, and view their desired location without an Internet connection. Rita Chen, a Google Maps product manager, said during the demo that users can expect this feature to be available in the "next few weeks." Google has worked tirelessly to collect mapping information by satellite, land, sea and air. But now they can add human foot traffic to their list of data collection methods. Luc Vincent, Google's director of engineering, demoed the Street View Trekker, which allows for street view data to be collected on hiking trails and bike paths. The device is strapped to the data collector's back, much like a backpack, with a panoramic camera perched on top that collects a 360-degree view of the wilderness. Vincent quipped that while he was trying the Trekker out on the ski slopes, a younger skier asked him why he didn't try a GoPro ( a smaller helmet camera for those who aren't in the know). During the Q&A session of the event, McClendon was repeatedly asked about Apple ditching Google Maps on its iOS devices in favor of their own mapping solution. To which McClendon repeatedly replied, "I'm very proud of Google Maps services and they're available on all devices today … and they're capable of doing a lot… and we will continue to make all services available on all platforms." We'll see if Google still spouts that mantra if Apple unveils their new mapping service at WWDC.